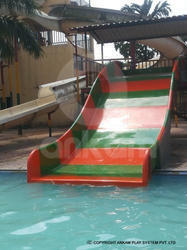 Leading Manufacturer of water park multi lane slide, water park family slide, family water slide in water park, water park family water slide, family water slide and family water park slide from Mumbai. Racer Slide can be provided two and more than two lanes assembled side by side.Racer slide takes the riders on a fun-filled adventurous challenge through events of ups and downs and speeding the riders to the landing area. 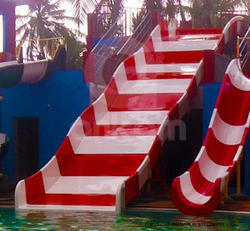 We are offering Family Water Slide to our client. 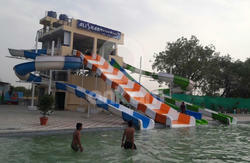 We are the company engaged in Manufacturing and Exporting a wide range of Combination Open and Tunnel Water Slide and guide every aspect of Water Park project in terms of Planning, Designing, Constructing, Engineering, and Commissioning. Can be customized to meet space and budget needs.It is a high capacity slide and mass pleasure.Steep Slopes and wavy design make it a scary and adventurous slide.Racer Slide can be provided two and more than two lanes assembled side by side.Racer slide takes the riders on a fun-filled adventurous challenge through events of ups and downs and speeding the riders to the landing area. 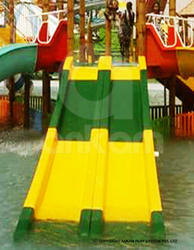 Racer Slide can be provided two and more than two lanes assembled side by side.Racer slide takes the riders on a fun-filled adventurous challenge through events of ups and downs and speeding the riders to the landing area. project in terms of Planning, Designing, Constructing, Engineering, and Commissioning. 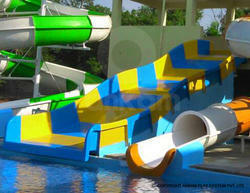 We are the company engaged in Manufacturing and Exporting a wide range of Combination Open and Tunnel Water Slide and guide every aspect of Water Park project in terms of Planning, Designing, Constructing, Engineering, and Commissioning. Brand Ankam Play System Pvt. Ltd. 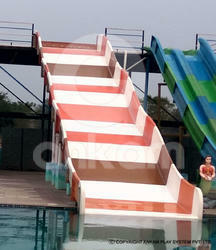 Looking for Family Water Slide ?